Bow's don't bend like that with the string being flat, they bend when the string is pulled back, as for the tilted one, good job, that's close enough. To Gamma, I like #3 best if it's not supposed to be smooth, if smooth, go with 2. 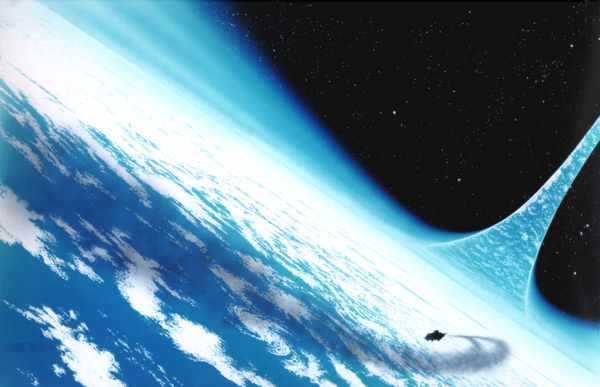 The plasma thing looks nice, but looks kind of flat. [EDIT:] I put it back, but also kept the other bow. After all, like you said, It could be used when one of my men fires it. I decided to call them "Corrupts", because they are based off a mod I found for Dwarf Fortress. Nega, maybe its just me but it looks like your "Corrupts" are all leaning forward. Perhaps you could move their bodies back 1 pixel or something. When a bow string is pulled back, the string is bent as well, just FYI. Got it, ghost. Oh, and Plasma, I don't really see my Corrupts leaning. Anyone else think they are leaning? Change both of them so he's standing up properly. Look up references of how people's legs actually look while standing. My Italians again. Don't really know what to do with the walking/running poses.I'm gonna work on the rifleman running pose now. Your best bet for poses is to look at real life examples of the pose you're trying to imitate. If you can't find any then just strike the pose in front of a mirror, you may look dumb but it helps quite a bit. Also as a rule people don't tend to keep their arms in one position whilst running or walking. Is that cannon guy supposed to be pulling the gun? If so you should probably have the cannon at some sort of angle so it doesn't just look like he's having a laugh. For the cannon, paint.net and gimp tend to blur up the cannon when it's rotated. Is there any way to fix that? I'm not sure about paint.net but in Gimp on the rotation tool menu there should be a setting called "Interpolation" set that to "None"
Rotating it made it look like someone took a sledgehammer to it. Instead I made a new rotated cannon sprite. It probably wouldn't be used much anyway. Also new poses. Not that different actually. An attempt at a water-based modern/future army. I quite like your style Flummox. However I think you should make sure all the units follow it. With the gas mask soldier, I would cut down their legs so they are the same as the other units. Also the legs on the walking poses seem a little odd to me, mainly with the 4th and 5th pose on the first row. Maybe add some more interesting poses. 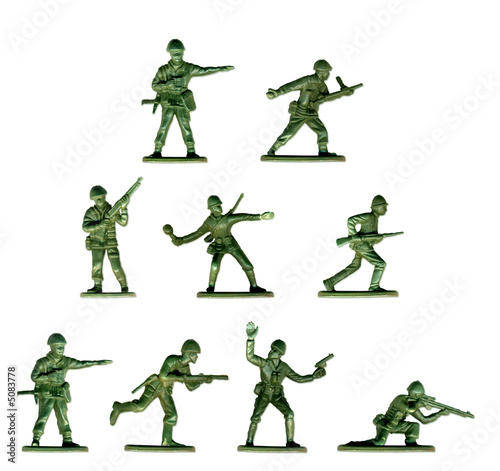 I find the best resource for making good poses is to grab an image of some toy soldiers, or the real thing if you have it. You can find a large variety interesting, and war themed, poses to copy this way. I would say to try not to change the army too much, keep it at it's current simplistic state; because it is looking quite good. Well, I decided to keep the legs the way they are. I like the way they are and I don't like the way the Corrupts look when they have normal upright legs. Italians again. Changed: Added a new unit, the paratroopers. They have camoflauge. Each new non leg pose for the paratroopers is brand new, I just tend to make it the same. Note: The severed legs are there so I can paste it onto a variety of units. The semi-organic scout walker body is there so I can load it into a match and sprite the legs on there, in order to suit the terrain. Anyhow, some feedback and or tips would be lovely. Despite the zero shading, black outlines, and stiff poses they are still pretty good for a new army. I'm finding it pretty difficult to give them poses as the helmet is rather large and difficult to move. ech, I suppose it comes with practice. I also tried removing the outlines, but because most of the colours I used are similar it's hard to distinguish different body parts. I might just re-do them to allow for this. So yeah, I figured I give some C&C. Vantage, first off you've done your sprites in black outlines. While outlines aren't exactly bad in my opinion (though I hate using them) having them as a darker shade of the sprites colour would be more preferred rather than solid black. In this case the infantry's outline should be dark grey, tentacles' should be a darker green and so on. Also you seem to have done some shading, although the light direction is a bit off. For instance on your infantry you having light shining on the helmet from the left and light shining on the helmet from the right. Generally it helps if you have only one direction that the light is coming from. You could also do with blending your colours in a bit more. By that I mean making them more similar since they kinda stand out from each other at the moment. Make shading is being done with one light direction in mind. I dunno, there's probably more faults but I can't be bothered writing them down. Overall I think it's a pretty decent army for a beginner. Like you said futuristic armies with guns are pretty generic. However, the tentacle walker could help get you away from the staleness and be a more bigger part of your army. How about some sort of biomass on the tank. Or a tentacle elite solider. Ideas like that could help make the army more distinct then just "men with guns".